We live in a world of constant changes. Living souls, creating progressive projects every day to catch up. There is no such thing as the best designer, but there is something of great radiance and that is a well-organised group of designers. A proof of this is the first-rate layout of all of Antoni Tudisco designs. Who has worked for different clients in the entertainment area. His work has a very compelling electronic look, that beat all possible boundaries. Actually, is likely that Tudisco is not even familiar with the word boundaries. He got his Diploma in Arts in 2010 in SAE Hamburg, Germany, his current place of housing. Since then he has been working as a 3D artist, 3D designer, motion designer and art director for production houses like Parasol Island, 1806 Italy, Thjnk and Droga 5. In 2015 he created in collaboration with Oliver Voss, Till Monshausen and others a print campaign for Die Welt, a German newspaper. This project shimmers up his entire portfolio, just by seeing it you feel like you are inside the world of a computer, and as you walk in it, millions of little pixels merge together to create colossal titles, and as you keep walking the letters of this titles start to fragment back again into million pixels. Everything can happen in this world, a world created by Antoni Tudisco. 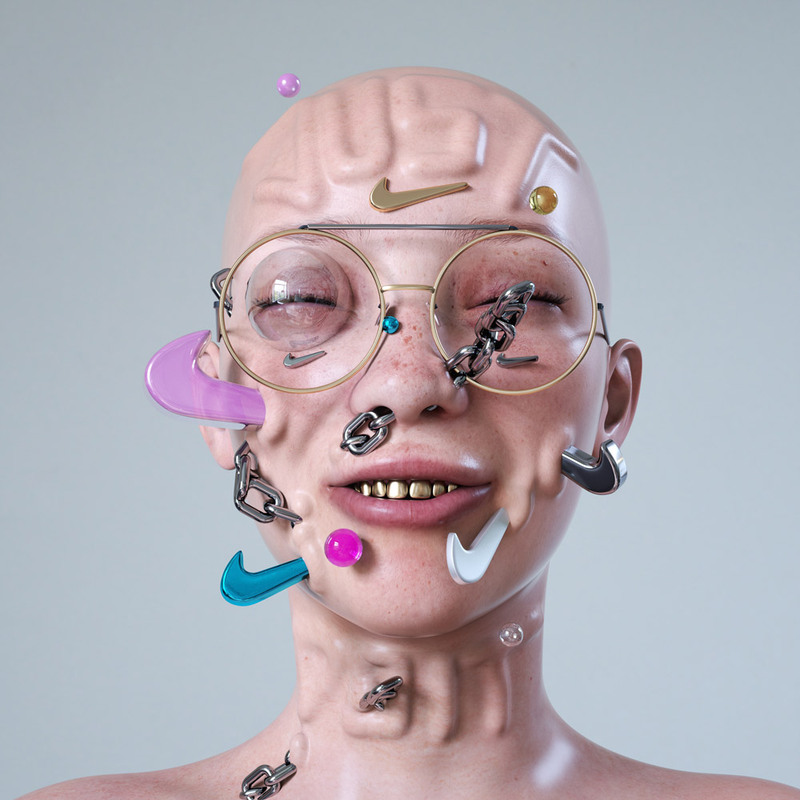 His latest work published on July 25 for Nike, shows glamorous living styles seemingly alluding to the new generation. Including lots of swooshes incrusted in the youngster's faces, golden teeth, cigarettes, emojis, modern versions of statues, as if the iconic statue of Michelangelo got back to life and now he is a cool kid, drinking soda with this sunglasses, his gold chains and ready to get in his motorcycle. His work can be summarized in one world and that would unbelievable, fascinating, awesome, astonishing and there is no way to describe it in one word, it just crosses your mind. 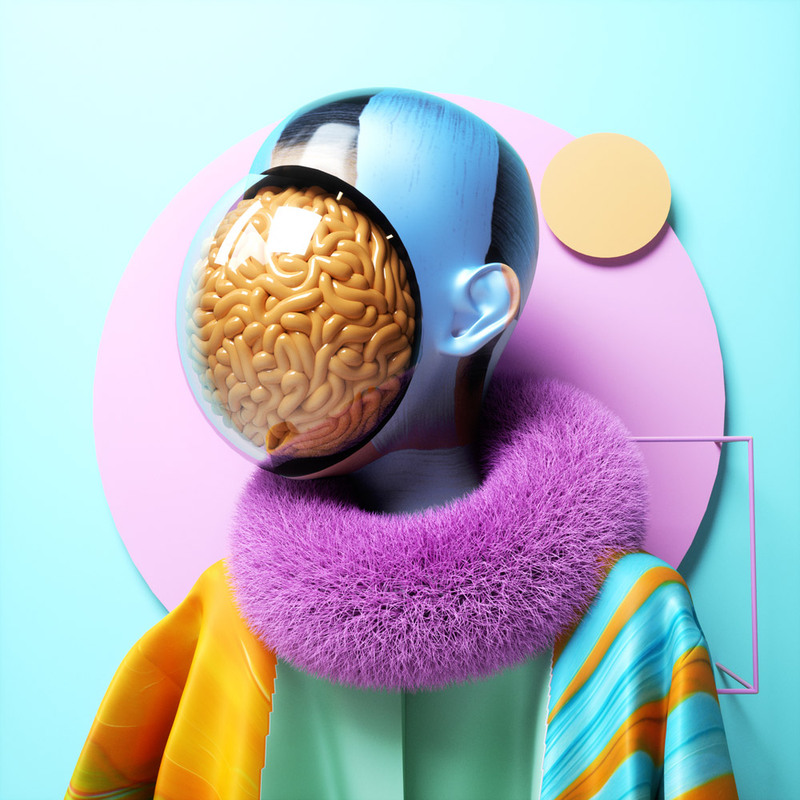 For more, visit his profile on Behance as Antoni Tudisco.